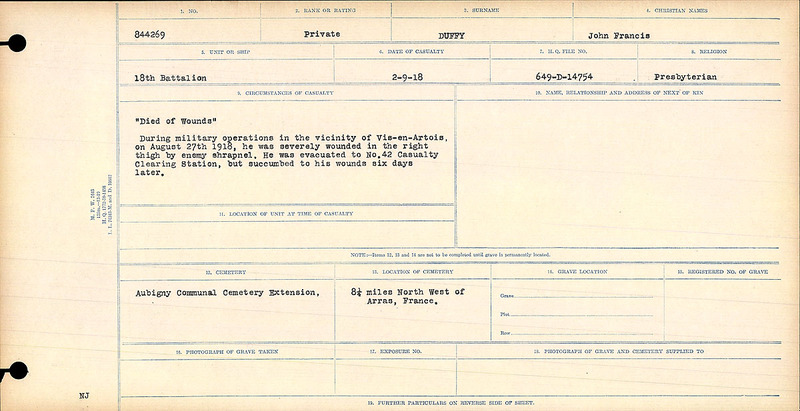 DIED OF WOUNDS During military operations in the vicinity of Vis-en-Artois, on August 27th 1918, he was severely wounded in the right thigh by enemy shrapnel. He was evacuated to No. 42 Casualty Clearing Station, but succumbed to his wounds six days later.